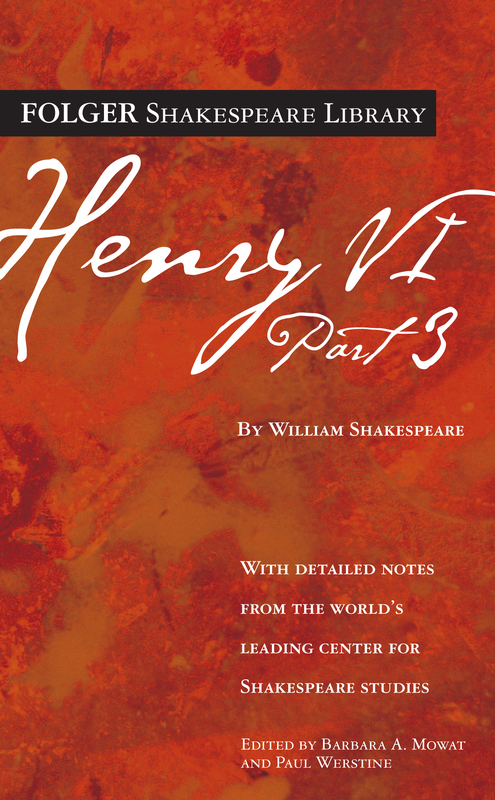 Henry VI, Part 3 is dominated by a struggle between two military forces, neither of which can achieve victory for long. Until the end, the Yorkists and Lancastrians strive for the English crown. The conflict between these two families began under Richard II. Half a century later, during the reign of Henry VI, it moved toward civil war. Now, in Henry VI, Part 3, Henry’s long reign becomes intermittent as his cousin Richard, Duke of York, seeks the crown and York’s son Edward sporadically succeeds in seizing it. As we watch the crown pass back and forth between Henry VI and Edward IV, our attention is caught by other characters: the Earl of Warwick, Queen Margaret, and Richard, Duke of Gloucester. Warwick is the power behind the challenge to Henry VI, until he shifts to Henry. Margaret raises an army in England and later leads one from France, all in a futile attempt to secure the throne for her son, Prince Edward. Historically, his death destroyed her, but Shakespeare wisely saves Margaret to bring her back in Richard III. Richard, Duke of Gloucester, increasingly draws our attention. Both attractive and repellent, he is energetic, self-aware, bitter about his deformity (which may not have existed historically), ruthless, and unable to care about others.